We are an independent real estate company managing over 650 properties in Sydney and over $500 million of investor assets. 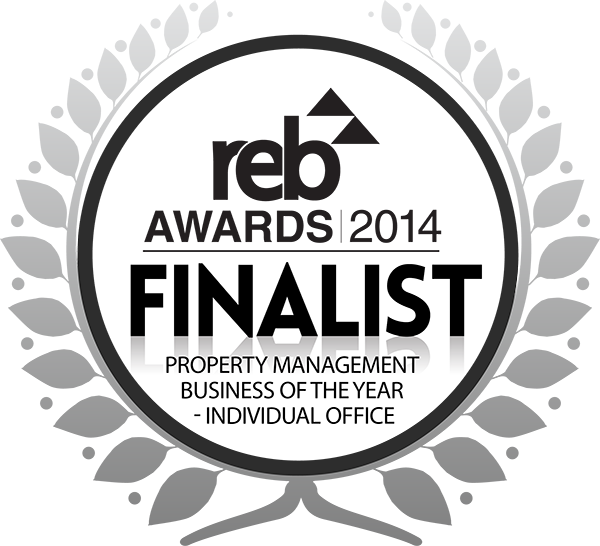 Infinity Property Agents specialise in property management and sales in Sydney, Alexandria, Mascot, Rosebery, Botany, Maroubra and surrounding areas. We are an independent real estate company managing in excess 650 properties in Sydney worth over $500 million of investor assets. We focus on CONNECTING PEOPLE WITH PROPERTY. Our experienced team of trained property managers and administrators offer a secure, stress-free property management service. We strive to maximise the returns on your property portfolio, protecting your investment and creating greater wealth through property. 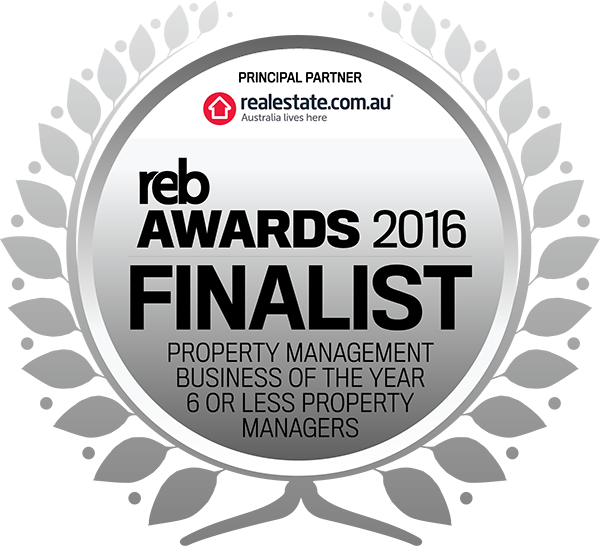 Recognised by the industry as one of the top 9 Property Managers in Australia in 2016 and 2014 and in 2016 and 2015 we became finalists in the City of Sydney Business Awards for Excellence in Small Business and Business Leadership. Our independent real estate business offers a more personalised premium management service with an experienced and dedicated team of property professionals and over 20 years real estate experience in the local property market. Our services extend to property sales and property management, valuations, project marketing and development and property leasing. It’s not surprising that we have more positive independent Google reviews than any other real estate agent in Sydney. I have known Michael since 2007. He looked after and then sold my property in Mosman. Infinity Properties are currently managing my house in Cremorne. I have never been let down or disappointed with the service provided. In fact, it has been excellent. I would have no hesitation to use IPA in the future or recommend them to my friends. Better than Expected Taking a chance and listing with Michael was an easy choice and the results speak for themselves. I had engaged another local Agent who was a family friend but after 1 year still hadn't closed the deal on selling our apartment in Mosman. With the apartment selling within 2 months through Infinity Property Agents at $10,000 more than I had anticipated, I couldn't be happier. Michael is results focused and the sales team made it a smooth and easy transaction. I would highly recommend Infinity Property Agents with the sale of any property. Extremely Happy with the result The team at Infinity Property Group definitely made the daunting process of buying a first property easier. Their knowledge of the local property market allowed me to make the best decision for my needs. I am extremely happy with the property I have bought and would recommend Michael and the team at Infinity in the future. Michael I wanted to drop you an email to thank you for the lovely Christmas party you & your friendly team, organised for us. I think it was a wonderful gesture to say thank you & for considering us the landlords/ clients in showing your appreciation in having you manage our property. It's much appreciated by us & myself as a landlord because not all property agents do this. So I want to say thank you for an enjoyable night with great food too.! Merry Christmas & all the best in the coming year. My name is Norman and I am a client of Infinity Property. I would like to say in all the years Infinity Property have looked after my property, Kimiko Inagaki, SPM Administrator has always been very professional in dealing with my needs and concerns. Her very cheerful and pleasant manner has given me huge confidence in her ability and she has proven herself to be someone who is very valued within the company and is a huge asset to her clients of which I am one. Happy With Purchase and Service Michael called me to let me know about a great property that he had in stock..... On his recommendation I bought the property and was recently delighted to discover that the price has increased by $100,000. Michael often calls to keep me up to date with what’s happening in the market and his recommendations. I really appreciate his insight and like that he doesn’t push me to buy anything I’m not completely happy with. It’s great to be able to have a frank discussion and discuss my options openly. I feel very comfortable to follow through when I find the right property and will be able to act quickly. Michael Kurosawa and his wonderful team have been managing my property for a number of years and have recently sold it for an absolutely amazing price. I was really impressed with Michael working extremely hard /including meeting me as well as the buyer on a Sunday/, and the result achieved of course. They also have their way of being able to make all their clients feel special. Would highly recommend Infinity to anyone selling /or buying/ property. I have chosen Michael to manage my property for over a year now, because my previous agent did not manage well enough. The reason I give him and his team full mark is: - He is very detail and issues that my previous agent did not pick up or do, he told me straight away and gave valuable advise. - His team always keep you inform and always follow up on all repairs until is done. - Michael does a very good job in keeping me inform about market rental value. So as a owner, I am very happy for his team to look after me and my property for many years to come. - I have also highly recommended his services to my friends, and they are also very please about their property being managed by Infinity. - Michael is very honest, approachable and up front. He will call you to discuss personally. Not many owners will call you themselves, my previous agent didn't. If I do have questions regarding my property, I drop him a line and he get back to me with a call. To Michael and your team - Your company deserve a big mention for doing such a great job! Keep it up! I am sure people appreciate your effort. I decided to transfer my apartment over to Infinity Property Agents due to their overall professionalism of Michael and the Infinity team. The apartment was being managed by another local Agent previously but they didn’t have timely follow up and I was beginning to lose my patience. Michael is always willing to address any of my questions and concerns and his straight forward communication makes me feel at ease. I would highly recommend Infinity to anyone considering a fresh approach to property management. I’d just like to thank Michael and Infinity Property Agents for the smooth, quick sale when selling my investment property in the Lucca building, Neutral Bay. I originally bought this property off the plan through Infinity a number of years ago. It was a daunting prospect looking at floor plans and trying to forecast what results this property would achieve. However, Michael made the process an easy one and walked me through it step by step. I’m really happy with the outcome and would highly recommend Michael and the team at Infinity Property Agents if you are looking to buy an investment property. I engaged Michael Kurosawa to assist Plantino Properties to sell a development project in Cammeray. He was not our principal agent for the project, but he sold 6 of our apartments from the Infinity Property database. We were very impressed with the persistence he showed in ensuring that each and every sale was followed through to completion. We would definitely consider using him on our upcoming projects. I recently engaged the services of Infinity Property Agents to manage my apartment in Erskineville. I found out about Infinity from an internet search. I’ve been very impressed with the professional manner in which Michael and his team conducted taking over the management. The entire process from the initial conversation with Michael was dealt with in an efficient manner. As this is the first time I’ve been a landlord I didn’t really know what to expect. But every contact I have had with every single person in the Infinity office I have been made to feel like a VIP. I only have a one bedroom apartment yet I'm always made to feel like I am their number one customer. There is no doubt I made the right choice in choosing Infinity for property management as my apartment could not be in better hands. We recently purchased a property in Mosman through Infinity Property Agents. Michael and the team made the process simple and ensured everything was processed smoothly. We've been managing our investment properties ourselves up to this point in time but have decided to give an opportunity to take over the management of the Mosman property. I'm looking forward to handing over the reigns to Infinity and see how they perform. I was looking to purchase a property for my daughter. As I live in Hong Kong my dilemma was finding the right property from so far away. I had never purchased property in Australia so was not too sure how it all worked. Michael from Infinity Property was fantastic. Everything ran smoothly and was relatively stress free. I would not hesitate to recommend Michael to anyone looking to buy or sell. I recently purchased my property through Michael from Infinity Property Agents. The process was smooth, easy and stress free. I was so happy with the result that I recommend Michael to my friend who was looking for a selling agent. Yet again Michael achieved a great result. I wouldn't hesitate in recommending Michael to anyone looking at selling their property. I would like to thank you for making the purchase of my North Sydney apartment such a smooth process and trouble free. Through your recommendation I've bought a good solid investment that has already gained in value. I've been very impressed by the high level of communication from you and the entire Infinity property team. They have ket me up to date about my apartment through the regular reports and emails. Even though I live in China, it doesn't make me feel like I'm so far away. In early March when I decided to rent a place closer to my Yoga Studio in Mosman, I took a deep sigh and thought “what a pain – this will be a long and tedious process; checking out places, filling in applications, waiting on phone calls from real estate people who take ages to return calls and when they do are often unpleasant! How wrong I was! From the very first phone call I was impressed by the Infinity Property Agents. I met with Tricia Lum, a Sales and Leasing Consultant and from the first viewing of the property to all of the subsequent processes until I settled in, everything was streamlined and easy! Tricia is the consummate professional – intelligent, communicative, warm and personable. Her attention to detail is meticulous and one can relax knowing that what she says she will do, ‘she will’. The back-up is superb - along the way I also had dealings with Alex and Jack and they too were very efficient and pleasant to deal with. I have no hesitation in recommending the Infinity Property Agents and Tricia Lum in particular if you are looking for first class customer service in the property sector. This is the new breed of Real Estate Agents – no phoney ‘real estate’ lingo, lies and broken promises - just smart, real people who treat you with respect, listen to what it is you want and deliver. I'd just like to thank Michael at Infinity Property Agents for negotiating me a great deal on a 2BR unit in Waterloo. He was pro-active from the start and had a consistent approach: never giving up until the deal was done. The thing I liked most was that he kept me informed by phone throughout the negotiations so that I was never left out in the dark. Michael's professional approach and thorough knowledge of the Inner West market made the decision making process easy. I wouldn't hesitate to contact Michael and the team for any of my property needs in the future. Great work from Michael and the support team at Infinity Property Agents in selling my property recently. It was a smooth and easy process. The staff interacted well with my tenant in relation to gaining access for inspections. Over all a great result! I would recommend Michael to anyone looking for a great Sales Agent. I thought I would take the time to repeat my comments to you in writing. As you know I've been very happy with the management services provided by Infinity Property Agents. You never take short cuts and it's the small details which really add up over time. My friends' Agent doesn't provide them with the photographic report at the inspections, so I recommended them to change over to Infinity. As you handled everything, they found it really easy to change their property over and now also like the use of photos in the reports, as it gives them an accurate picture of the condition of their property. I want to take this opportunity to let you know what a tremendous job Infinity did in renting out my unit in Waterloo. I was at my wits end, as my unit had been vacant for six weeks with another Agent. I could literally see my money walking out the door: week by week! Michael was introduced to me by a friend. I quickly took Michael’s advice and allowed Infinity to advertise my unit. I’m thrilled to say that it was leased in three days! Infinity is great as Michael is always available to talk to and keeps me up to date with what’s going on with my unit. Not surprisingly, I’ll be recommending Michael and the Infinity team to any friends or family who might be planning to rent out their properties. I recently purchased property through Michael Kurosawa at Infinity Property Agents. He worked tirelessly in his endeavours to assist us with our purchase. Hs is a man of his word. He promised to clean our property before we moved on and he kept his word. Thank you to Michael for all your assistance during the purchasing process. Michael Kurosawa from Infinity Property Agents recently sold my property in Maroubra. What a great job he did! From day one through to settlement he led me step by step through the process. Even though I live in Singapore it all seemed so easy and I never felt I was far away from Australia. I totally entrusted Michael with everything he did and he constantly kept me in the loop. Michael is leading a fantastic team in Infinity and I have full confidence that under Michael's leadership, Infinity's Business will prosper and boom to greater heights. I am the Concierge Manager at the Lucca Building in Neutral Bay. Infinity Property Agents manages a number of units in the building. They're very well organised and pro-active in their interactions with the tenants and owners. We deal with a lot of agents but the team at Infinity property Agents are the easiest to deal with. It's nice to have built a large relationship with them over the years. I have been impressed by the Infinity Property Management team as they quickly respond and keep me updated about my investment property. I am sure there is a lot of work behind the scenes but I no longer have to worry because I know that the team is one step ahead and thinking about the lease renewal and how to keep my property tenanted. As I continue to buy more property I’ll be leasing them through Infinity Property Agents as well. Michael at Infinity Property Agents recently sold my property in Mosman. I was most impressed with the result. It was a tough market but Michel persisted and achieved a great result. I was constantly kept in the loop. He was persistent with the advertising and because he knew the market so well he was able to guide me on the true value of my property. The staff at Infinity Property are a delight to work with and would recommend them as a good agent for rental or if you are thinking of selling. Well done and thank you for your hard work. Michael from Infinity Property Agents introduced me to several great investment opportunities over the years. I was very happy with my purchases through Michael. My properties were vacant when I purchased them and the team at Infinity were able to secure new tenants prior to my settlement. This was most impressive as I did not lose any rental income. Not only did I purchase at a great property, but it was up and running from day one. Thank you Michael and the team at Infinity Property for all the great work you have done for me. Just a short note to say thank you for the great result I’ve achieved with my property in Mosman. The investment property felt like a bit of a risk when I bought it as it had a building defect issue. Michael explained the situation and both the pros and cons of going through with the purchase. Without Michael’s support I wouldn’t have taken the risk and would have missed out on the huge capital gain I’ve made. It’s fantastic as I’m now able to buy another property to add to my portfolio. I really liked Infinity Property Agents can-do approach. Recently my tenant damaged the blinds in my rental property. It was probably something that another agent may have over looked but Michael noticed the damage straight away and reported it through the photographs in the Inspection report. The Infinity team organised the repairs and insisted the tenants cover the cost. Needless to say, I was very happy with this result and I felt like I can trust the Infinity team with my property. For this reason, I’ve decided to consolidate my portfolio and transferred the management of my other properties from other agents over to Infinity to manage as well. Michael Kurosawa has sold 5 of my Investment Properties in Maroubra over the years, the most impressive thing about Michael is the fact that no matter how tough the market was, he never gave up. Even though 2007 was a tough market real estate wise, his knowledge of the local market enabled him to sell my properties with a great result. His constant updates gave me piece of mind that things were running smoothly. Regardless of whether you are buying or selling I would highly recommend Infinity Property Agents to help you with this important decision. We could not have asked for a better company to guide us. Michael came highly recommended to us from one of our friends. We were out our wits'end with the low level of service from our previous Real Estate Agents. Infinity took over management of our properties at Maroubra and Newtown. We like Michael's proactive approach and that he always makes time to follow up. We hadn't seen anything like the photos in the inspection reports before. We really like this style of report as you get a true idea of the condition of the property. It's easy to miss a lot from the information on the written report. We're definitely glad we made the change over to Infinity Property Agents. I am writing as I am thrilled that Michael at Infinity Property Agents was able to find a tenant for my property so quickly after we bought our unit in Mosman. It was our first investment property so it helped that Michael we so easy to deal with. Not to mention the fact that he is Japanese, I could ask any question without having to worry if we missed anything in translation. Michael has so long in the Sydney market that he had a specialist knowledge that is hard to find. We are happy to recommend Michael and his team to my friends or Japanese expats in the Sydney community. I know we will be contacting him again when its time to buy our next investment. I have known Michael for many years now and I have relied on his knowledge of the Sydney property market and his professionalism to buy, sell and manage my investment properties over the years. Michael has also put together a great team of dedicated and very proactive real estate professionals. As a result, I have handed over the management of my 3 investment properties to his team. I’m always impressed with Michael’s pro-active and innovative approach to handling most property related issues. I have had some difficult moments with tenants and sale of properties over the years – I’m glad to say that Michael has always found a way to resolve the matters quickly and with minimal damage! He always has time to listen to my queries, discuss issues and respond with the most appropriate solutions. I consider Michael and his team as an important part of my property investment strategy. For anyone looking for a reliable Property Management Agent, I can sincerely and whole heartedly recommend them… you will not be disappointed! Michael from Infinity Property Agents recently sold me my investment property in Maroubra. The whole process took about 24 hours. He emailed me with a recommendation, I inspected the property the following day, he then negotiated with the Vendor and the rest was history! I'm a very busy man so this quick transaction was greatly appreciated. Infinity then found me a tenant just as smoothly and avoided any potential rental loss. Thank you Michael and the team at Infinity Property! I was preparing to lease my first property and wasn't sure who to use. I contacted several local agents, but I was so happy with Michael's approach that I engaged him to manage my property. He had a very friendly manner and I could see the passion in his eye's when he spoke about property, I knew straight away that he was the right man for the job. I was extremely pleased with the outcome and got more then I expected. I also referred my friend to Infinity and he too was very pleased with the advice and service he received. Thank you Michael for all your support. Michael and Infinity Property Agents managed 3 of my investment properties which are located in 3 different suburbs. This allows me the convenience of only having to deal with one managing agent. It's impressive the way the staff take care of all matters and consistently keep me updated. When my niece was looking for a managing agent I didn't hesitate to recommend Infinity. She is also happy with the quality of service. Thank you Infinity for all your hand work! We have known Michael Kurasawa of Infinity Property Agents for the past 15 years. Over that period of time Michael has introduced us to a number of great investment properties of which we have purchased more then 10. Michael has always offered consistent and effective before and after service throughout every transaction. He has kept us up to date with current market values and market rental potential for all of the properties. Michael and his team at Infinity have managed all of our investment properties and recently were effective and for us were successful in selling five units this year giving the Trust a great return. Michael has been the main asset in our property investments decisions, always giving the most honest and knowledgeable advise. Pru and I entrust Michael with all our real estate matters for our family trust, our individual matters and our family members has also sort his advice. We have no hesitation in recommending Michael and his team at Infinity Property Agents to those seeking a good, hard working and proactive real estate agent. I am pleased to recommend Michael Kurosawa, Director of Infinity Property Agents whom I have used on several occasions to assist my family with our assets. We have worked with Michael over the years and have consistently found him to be an important resource for our investments. Michael invests the time with our family as his service and personal attention we always receive is exceptional. Once given one of valued properties to sell, he is determined in finding the right client and bringing the sale to a prompt and successful conclusion. Michael is a great communicator and always kept the family informed as the sale progressed. Thank you Michael for all your hard work and look forward to our continuing relationship. I am very impressed by the Property Management team at Infinity Property Agents. They are a reliable team who take prompt action to quickly rectify issues. If things are not done to a high enough standard they will insist on the contractor returning to complete the job again. It gives us peace of mind knowing that our property is in good hands. Thanks for all your great work Infinity Property!! Living in Melbourne and owning property in Sydney has been so easy, I know my property is in good hands. Michael and the great team at Infinity have never let me down, I recommend them to anyone seeking a hands on property manager. Over the last 20 years I have accumulated a number of properties through Michael Kurosawa. His wealth of knowledge about the Real Estate Industry has guided me with my property purchases. Michael is always up to date on the Real Estate market which helps me in buying or selling one of my investment properties. Michael has the perfect balance of knowledge, drive and enthusiasm that will get the job done for you. Infinity Property Agents not only manage all of my investments but also my family, relatives and friends. We leave it all in their capable hands. I have also advised them not to contact me unless its a large maintenance issue that requires my approval, otherwise they take care of all matters. Michael’s knowledge extends beyond Real Estate, he has a thorough knowledge of all areas involved in the sales process from mortgage companies to insurance providers. Michaels experience and patience has served us well. I highly recommend Michael and Infinity Property Agents to anyone looking to buy, sell, or have their property managed by a group of professionals. Management of my investment property through Infinity Property Agents has been easy. I am a busy man and I dont have time to manage it myself. I rely 100% on their propmt action. Any maintenance issues are taken care of in a timely manner and the inspection reports guarantee that my property is being taken care of. They are always on top of the lease renewals and are regularly recommending rental increases where they feel they are justifiable. Thank you Infinity Property Agents for all your hard work. I would recommend you to anyone seeking a professional property agent. Infinity Property Agents have been managing many of my investment properties. I was so impressed with their services that I didn't hesitate shifting my other properties from my previous agents to Infinity. The thing that impressed me most were the photographic routine inspection reports which are emailed to me on a regular basis. This was very important to me. They also renew my lease before it expires which gives me a piece of mind that my property is taken care of. Thank you for all your work Infinity. I would recommend you to anyone looking for a good property manager. I have known Michael for many years now and his property management team at Infinity manages my investment properties in Sydney's East, Lower North Shore and Inner West. Through the years, I can see that Infinity has a highly effective system in carrying out their duties. Service is friendly and efficient and all my phone calls and email are always attended to promptly. I receive periodic inspection reports completed with photos of all my properties. These documents give me piece of mind that they take property management very seriously. Monthly and yearly statements are always on time for me to complete my tax returns. When I think about excellent customer service, whether it is hospitality, airlines, car rental or financial services, Michael's small but highly effective team at Infinity comes to mind. I would highly recommend Infinity to property investors who are serious about a top notch service and advice on their investment portfolio. I have Known Michael Kurosawa for 10 years. They manage a numnber of my properties. The main difference between Infinity Property Agents and other companies I have used previously was their attention to detail. Any issues thay may arise, they are always able to address them promptly. The regular routine inspection reports which include photo's reassure me that my properties are being well maintained by my tenants. Well done and thank you for all your assistance. Michael Kurosawa runs a tight ship at Infinity Property Agents. My properties have been in their capable hands for many years. They are very efficient and diligent but I am also given the option for my own input which allows me to feel in control with all aspects of maintaining my properties. I am impressed with their regular routine inspection reports which include photo's and a full update. I am then confident that my tenants are taking care of my investment. If there is a maintenance issue this is picked up and resolved fairly quickly. The staff at Infinity offer great service and quick feed back when required. Thank you Infinity for all your hard work. I would like to thank Michael Kurosawa and his staff for managing my investment property. I like the fact that whenever I contact the office there is always someone there to assist me with any questions that may arise. At my previous agency if my property manager wasn't available I would have to wait for them to get back to me, this was frustrating if I needed questions answered fairly quickly. From a Landlords perspective, they are very attentive and address my issues before they arise. With my previous agency I would have to consistently contact them in relation to renewing my lease or rental increases. Infinity has always contacted me ahead of time and sorted these issues out without me having to ask. This is a breath of fresh air. The routine inspection reports which include photos are sent to me every 5 months, this gives me peace of mind knowing my property is being taken care of. I was so impressed I have referred my sister and parents to Infinity Property Agents and would recommend them to any other landlord. Infinity Property Agents has been managing my properties for over 1 year now. I wish to express my appreciation for your management of my rental property. It is of great comfort to know that you are taking care of all aspects of my property. The routine inspection's that you conduct every 5 months give me piece of mind that my property is being taken care of properly, because of your professionalism, courteous and customer focused management i referred a friend of mine who is also equally impressed. Well done Infinity for all your great work. We have known Micheal Kurosawa for several years now. The thing that impresses me the most is the effort he makes to meet you and develop a relationship. I found this very rewarding therefore we are so comfortable dealing with him and his team. They manage several of my properties and I have also recommended him to my family members.  They deliver the best service and are very quick to respond to any issues I may have with my properties. As a landlord the team at Infinity Property Agents have made life very easy for me. My properties have been well maintained, tenanted promptly with good tenants and good rent. I would definately recommend Michael and his team to other landlords. I have known Michael from Infinity Property Agents since 2002 when he sold me my first property. Michael now manages 3 of my investment properties. The thing that impresses me the most is the pro- active service the company provides. I receive routine inspection reports with photos every 5 months. This gives me peace of mind knowing that my property is being taken care of well. If a maintenance issue does arise this allows for the situation to be attended to promptly. I also like the convenience of dealing with the one managing agent even though my properties are in different areas. I would not hesitate to recommend Infinity Property Agents to anyone looking to sell, buy or have their property managed by a professional, experienced agent. Michael and Infinity Property Agents have been managing my property in Maroubra since I purchased it several years ago. From day one they have always made me feel like I am their top priority. The staff are very professional and attend to matters as they arise. They attend regular routine inspections and send me comprehensive reports. This gives me peace of mind knowing that my tenants are taking care of my property. They are always keeping up with the changing market and review my rental income twice a year and generally increase my rent to reflect the market. They have done such a great job managing this property that I feel comfortable giving them my second investment property in the City to manage. The great thing about Infinity is that they don’t limit themselves to just one area. This makes it easy for me. I only have one property management agency to deal with. Thank you to all the staff at Infinity I would recommend your services to anyone. Infinity Property Agents have been managing my investment property for about 2 years now. My expectations were high but the property Management team exceeded them with their exceptional service. Michael dealt with all issues before they’ve become problems – be it repairs, maintenance, inspections, valuations etc. They made the letting and reletting processes very straight forward without any gaps in tenancy. Because of Michael’s integrity and vast experience I didn’t think twice about recommending them to my sister and mother whose properties they also manage now. I have recently also recommended 2 of my friends Steven and Chris who have come back to me with positive feedback. They make my life as a landlord easy and I highly recommend them as a managing agent. From day one I have always felt that I have a personal relationship with Michael from Infinity Property Agents. He has always made me feel comfortable about contacting him with any issues I may have no matter how trivial they may seem. Infinity Property Agents used to manage 2 of my rental properties before I sold my Surry Hills property through Michael. Not only did he achieve a great price but the whole process was smooth with no hiccups along the way. This allowed me to focus on other areas of my life. The team at Infinity still manage my other property and I am very impressed with their proactive services. They conduct regular inspections to make sure my property is being taken care of and are regularly reviewing my rental income to ensure I am maximising my investment. Thanks to you Michael and your team at Infinity. Michael and the Infinity Property Agents team are easily the best realtors we have worked with. They always make us feel like we are their top priority. Even though we know they are busy, they never let us feel that way and are extremely patient with our questions and issues. They always get back to us very quickly. The office has a family like atmosphere, and we feel welcome every time we come in. Their sincerity and care was one of the many aspects that made us choose Infinity Property Agents as our agent. They manage three of our investment properties and we are extremely satisfied with their service and expertise. Thank you so much for everything that you do. Over the past 4 years Infinity Property Agents have managed my investment property in Maroubra. Working in the property industry myself I have a fairly high expectation of my Property Agent. They didn't disappoint me. Their professionalism and hands on approach have allowed me to focus on other areas in my life and leave this task to them. They are always proactive in any communications whether they were with myself or my tenant, because of their regular routine inspections conducted I receive details reports on the status of my property. This gave me peace of mind that my tenants were taking good care of my property. Every 6 months they reviewed my rental income and increased rent in line and above the market rate. Thank you Infinity Property for your support over the years. I wouldn't hesitate in recommending you to family or friends. My name is John Tikisci. Let me share with you about our experience with Infinity Property Agents, especially with Michael Kurosawa. Our first experience was back in 2007 when Michael Kurosawa starting to manage our investment properties. We saw three different agents then and we liked his approach. We decided to ask Infinity Property Agents to manage our investment. From that day on they have been looking after all our family and friends properties. When the inspections are conducted, we always receive a detailed report with photographs so we know the exact condition of our properties. We have no regrets what so ever since we changed agents to Infinity Property.